Omega Writers is a Christian writing group serving Australian, New Zealand, and South Pacific Christian Writers. They held their annual writing conference the last weekend on October, in Adelaide, South Australia (and you can read my recap post here). Over the next few weeks, we're going to be reviewing the three winning books as well as more recent releases from these three wonderful ladies. 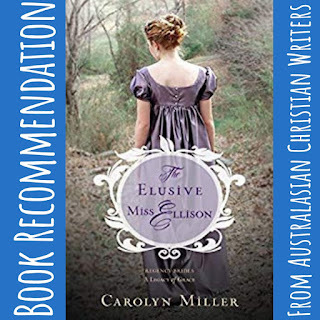 Andrea Grigg has previously reviewed The Elusive Miss Ellison here at Australasian Christian Writers, and you can click here to read her review. And here's my review (previously published at Iola's Christian Reads). 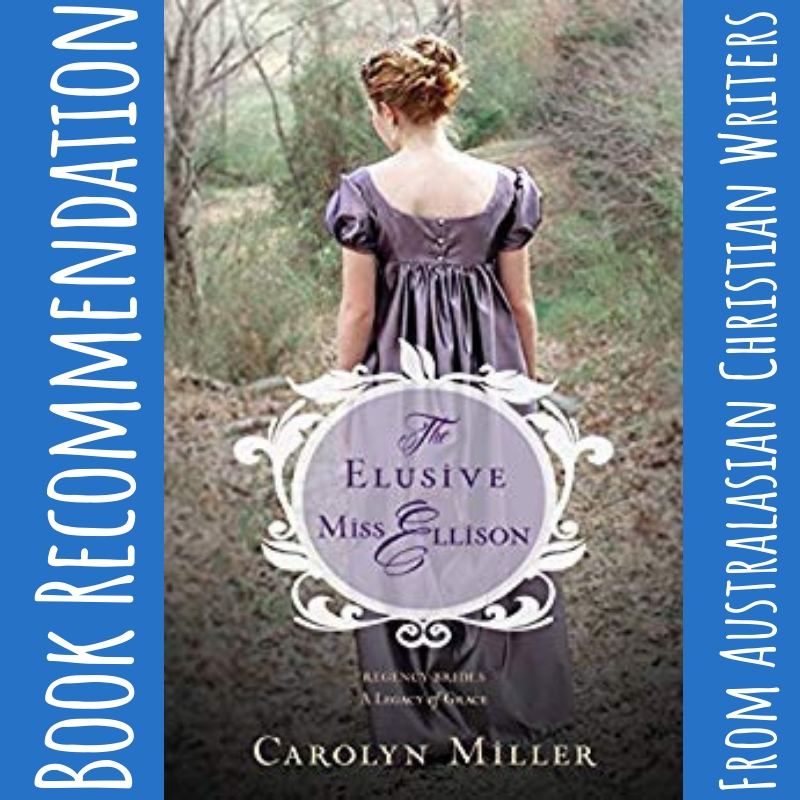 The Elusive Miss Ellison is everything a good Regency romance should be: it’s consistent with the writings of Jane Austen and Georgette Heyer, and features plenty of wit and sparkle in the dialogue, especially that of the titular Miss Lavinnia Ellison. She reminds me of a combination of Austen and Heyer heroines, and there is a definite nod to the BBCs Ehle/Firth version of Pride and Prejudice in terms of the characters. The plot isn’t P&P (thankfully), but again has echoes of Austen. The big difference (improvement) is that The Elusive Miss Ellison is clearly Christian fiction: Livvie is a minister’s daughter with a real faith in God, and unwilling to be romantically involved with any man who doesn’t share her faith. Especially not the man she holds responsible for the death of her beloved mother, and who appears to hold too little regard for the wellbeing of his tenants. I’m a big Regency romance fan, so very much enjoyed the authentic Regency voice and attention to detail. Some of the writing was a little shaky, and the pacing was somewhat uneven. Parts of the novel sparkled with wit, but others felt as though the sparkle had been scrubbed out. I’ll be keen to read the sequel, The Captivating Lady Charlotte (love the title!). Recommended for fans of Christian Regency romance. Update: Carolyn now has six novels published, and I've read them all. She gets better with each one. I'm looking forward to reading this one too, especially after meeting the lovely Carolyn Miller in person at the Omega Writers Conference! Might set aside some reading time this weekend and soak it up. I hope you get a chance to sit down and enjoy it!